My Story NPR coverage of My Story by Elizabeth Smart and Chris Stewart. News, author interviews, critics' picks and more. The daughter of a close-knit Mormon family who was abducted, held captive and repeatedly raped recounts the constant fear she endured, her determination to maintain hope, her escape and her transformation from victim to advocate. October 8, 2013  Smart, who was held captive for nine months at age 14, describes the 2002 ordeal in a new memoir called My Story. She's now an advocate for children's safety education and says "the best punishment" she can give her abusers is to move on with her life and be happy. We were standing on State Street, one of the main roads that leads downtown. Mitchell started walking without saying where he was going. Barzee and I followed as we always did. He walked into a Walmart, where he stole some new hiking boots and some other things. Our green bags were bulging with the stolen items by the time we made it to the front of the store. Mitchell paid for a few things to relieve any suspicion, then we walked toward the door. People were always looking at us. We just didn't fit in. Passing by the main entrance, I glanced at the wall with all of the pictures of the missing children. Am I up there? I wondered. I started walking toward the wall, scanning the photographs. Mitchell grabbed me firmly by the shoulder. A sharp pain moved up and down my arm. He squeezed tighter and leaned toward me. "You are not up there. No one remembers or cares about you anymore. You are mine. You'll always be mine. Your previous life is over. Now, come on! Let's go!" He started to pull on my arm, but I pulled back, staring at the pictures of the children. I don't know why, I just couldn't seem to pull away. So many children. So many shattered lives. But I didn't see my picture, which meant that Mitchell was right. Everyone had forgotten me. I was not on the missing posters anymore. He jerked on my arm again. "Quit calling attention to yourself!" I turned around and followed him out of the store. We walked down State Street toward the middle of the city. We were on 106th South Street. We had a long way to go. But I knew what was going to happen. We'd take another bus downtown, then walk east, toward the university, then up the canyon toward our old camp. Then I'd be in my prison and Mitchell would be home. I walked wearily, dragging my feet. I felt like I was walking toward a penitentiary with my personal prison guards. I had felt this way before. We had only walked two blocks when I saw the first police car. It came up and stopped immediately beside us. Mitchell cursed. Barzee sucked in a breath of air, her throat seeming to gurgle. We kept on walking. I kept my head down. Another police car came up and stopped beside us, then another one in front. I heard Mitchell cursing once again. "We shouldn't have done it!" he hissed in fear. "We shouldn't have done this." His voice was tight with rage. I felt sick. I felt elated. I didn't know what to do! I thought about every threat that Mitchell had ever made about my family. I thought about the painful life that lay before me in the camp. Years of being raped. Years of hunger and abuse. Years of being trapped up on the mountain. I thought of everything that I had gone through. Then I thought about my little brother and sister. I loved them so much! I wanted to keep them safe! The policemen jumped out of their cars and walked toward us. Please help me protect my family! I prayed. "Sir, I need to talk to you," the first policeman said. "Sir, I need you to stop. I need to talk to you!" An overwhelming feeling of panic swarmed over me. Please, God, help to set me free! "Sir! I need you to talk to me. I need to see some ID!" The officers became aggressive, all of them shouting now. Mitchell's eyes were wide with fear, his face draining of all color. He stammered once or twice, trying to get something out, but his voice seemed to crack. Barzee didn't say anything, holding close to her husband, her lips tight across her teeth. She glared at me, her eyes hateful and defiant. I flashed back to the scene at the library when she had pinched my leg underneath the table, her iron fingers digging into my skin, communicating all of the fear that I had been subjected to for months. I looked at her, then turned away, my mind a jumble of hope and fear. Another policeman came toward us. His voice was firm. He seemed to be in charge. The other officers gathered around. Though they were talking to Mitchell, their attention was primarily on me. "What is your name?" one of the officers asked me. I felt almost dizzy. I was sick with uncertainty and fear. Was it Esther? Was it Shearjashub? I hadn't been called Elizabeth for so long. The officer frowned at me. He didn't treat me like I was his friend. I felt like I was falling over a waterfall. Don't say anything. Don't give Mitchell a reason, or he'll hurt you! Don't give him a reason to hurt your family! "Hey, I need to know your name," the officer pushed again. What will Mitchell do to me? What will he do to my family? "Your name!" the officer demanded. "Her name is Shearjashub," Mitchell finally answered. The officer only glanced at Mitchell. "Is that right? Is that your name?" I thought of the long black knife. I thought of the fact that Mitchell had never spent more than a few nights in jail. He seemed impervious to being captured. He would kill my family if I talked! "Where are you from?" the officer demanded. "We just got here from California," Mitchell answered for me. "We are preachers. We aren't doing anything but serving the Lord." The officer ignored him. "Is that right?" he asked, looking into my eyes. "Where are you going?" the officer asked me, moving a little closer. "We're heading to Salt Lake City," Mitchell answered for me again. "We're ministers. We've done nothing wrong." His voice was calm and cool now. There was no sign of panic or deception. He spoke softly and acted very confident and sure. "I'm not speaking to you, sir, I'm speaking to the young lady." The officer stared at me, waiting for me to say something. "She's scared," one of the other officers whispered from the back. "She doesn't dare say anything." The officers huddled together, a couple of them keeping their eyes on Mitchell and me. Barzee seemed to have melted into the background. It was as if no one cared that she was even there. "She's scared of him," the officer said to the others. "She's too scared to even answer. You've got to get her by herself." One of officers walked toward me and put a gentle hand on my shoulder. I immediately flashed back to when Mitchell had grabbed me in the Walmart just a few minutes before. Mitchell's hand had been a death grip, like the Grim Reaper on my arm. But this was different. It didn't feel like the officer was going to hurt me. Maybe he could actually keep me safe. He nudged me away from Mitchell, then leaned over and looked me in the eye. "What is your name?" he asked me gently. I felt my heart racing in my chest. More than anything, I wanted to tell him! I didn't want to stay with Mitchell. I didn't want to walk with him up into the mountains. I didn't want to be raped every day. I didn't want to suffer hunger anymore. All I wanted was to be with my mom and dad. All I wanted was to go home! But Mitchell's face filled my mind like a monster in a dream. I heard his voice. It was the devil. I had heard it so many times before: I will kill your brothers and your little sister. I will kill your mom and dad. I will plunge my knife in and I will turn it! I will kill them all! The officer waited, then leaned toward me, looking me right in the eyes again. When he spoke, his voice was soft and assuring. "Are you Elizabeth Smart? Because if you are, your family has missed you so much since you were gone! They want you back. They love you. They want you to come home." For a moment, my world seemed to absolutely stop. I looked at him. He looked at me. I felt calm. I felt assured. Months of fear and pain seemed to melt before the sun. I felt a sweet assurance. "I am Elizabeth," I finally said. From My Story by Elizabeth Smart. 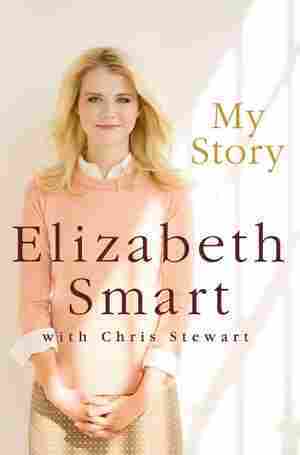 Copyright 2013 by Elizabeth Smart. Excerpted by permission of St. Martin's Press.